A lot of you peeps are buying t-shirts right now like they are going out of style. Christmas time is one of the best times of the year to load up on tees because of all the sales and special deals. You can really rack up if you play your cards right. This is also the time of year that you can justify buying t-shirts for others to help spread the t-shirt obsession around. 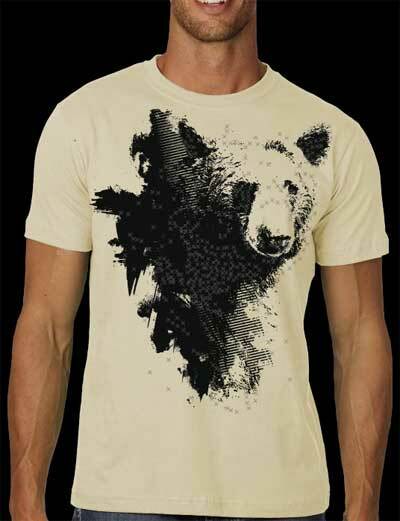 What if you were able to buy t-shirts cheap….as gifts or for yourself…and give to charity all at once??? Thanks to Design Give you can. It isn’t the first site to promote a charity through the purchase of t-shirts. 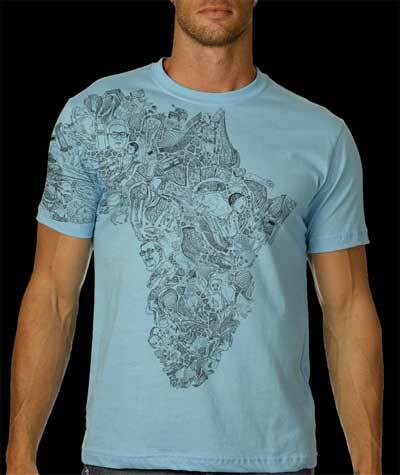 However, it is one of the first places to do so by accepting awesome designs as donations from the top t-shirt designers on the web. In turn, the designers get the satisfaction of giving to charity and the promotion through Design Give as a top designer. Everybody wins in that scenario. An added bonus this month is their iPod Nano giveaway promotion. 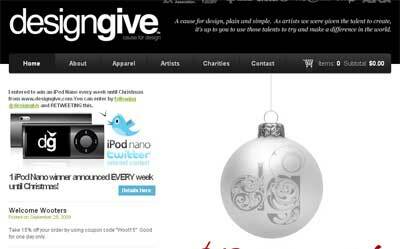 All you have to do is follow Design Give on twitter and retweet “I entered to win an iPod Nano every week until Christmas from www.designgive.com”. Easy enough and there will be a winner each week this month. So, what are you waiting for? Get over there and start giving. Mystery T Shirt Grab Bag! Are those shirts screen printed or dtg?